Welcome to BBLR - Texas, an American Aberdeen Angus Ranch. We are located in North Central Texas. 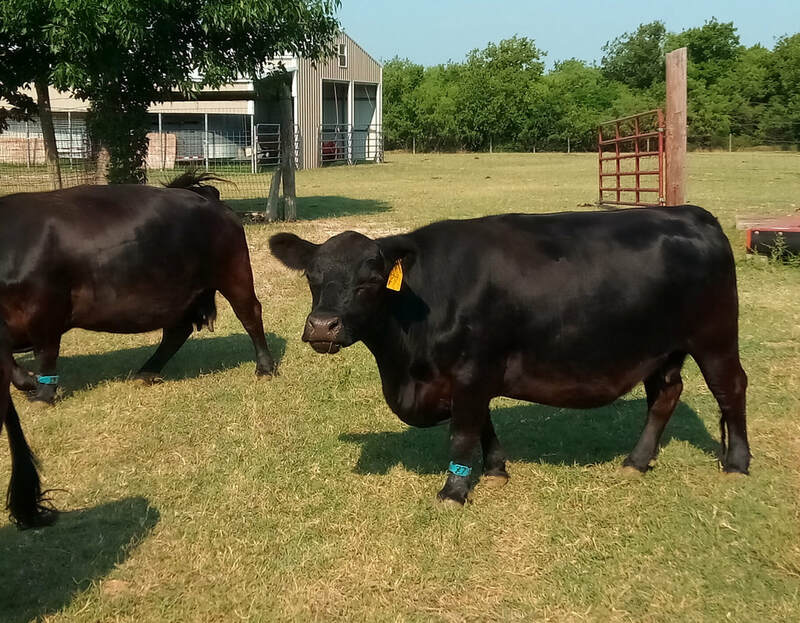 We have a small herd of Fullblood (and a few percentage) black American Aberdeen Angus (formerly Lowline) cattle raised with the personal touch. They are gentle and calm in nature. Our cattle eat fresh grass when in season and grass hays year-round. This year we have a new bull on our herd. We also have two 50% cows we use to carry embryos or have the occasional percentage calf. Thank you for looking at our herd. We would be delighted to answer any questions you may have. except the two 50% embryo recip cows, Yahoo and Oreo. The list is by name with birth date then sire & dam.